Mark Altes is a Broker Associate. By working side by side with his clients, he is able to help them make the best decisions for all of their Real Estate transactions, based on market data and past experience with Real Estate. Being Born and Raised in the Wine Country is one of Marks biggest assets. With over 17 years’ experience in General Engineering Construction as well as General Construction, the vast array of knowledge Mark brings to the table is unsurpassable. Being involved in the development of large Estate projects, wineries, wine caves, commercial projects, horse arenas, pool construction, and sub-divisions is what gives him an edge. This knowledge and understanding the systems involved in such Real Estate is an asset that leads to making educated decisions based off facts. Along with that experience comes a team and network of connections that runs deep into the wine country. Mark feels that there are two very important aspects to understanding a Real Estate transaction. One, is understanding the piece of Real Estate with the inclusive facts. The second, is “negotiating” through the deal making sure that all facts are accounted for. While doing both of the above he keeps the client informed at all times so the transaction seems seamless. Mark works alongside his wife, Erika, who is well-versed in everything from sales to digital influencing and marketing. Mark volunteers for the California Waterfowl Association as well as being a member of the organization. Receiving an associates degree in Liberal Arts and Real Estate License Certificate from Santa Rosa Junior College, as well as holding a General Engineering Contractors License. 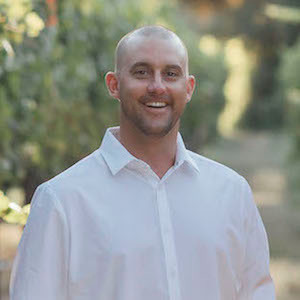 He enjoys mountain biking, skiing, and taking in everything Sonoma County has to offer, whether it’s a local restaurant, winery, or beautiful sunset.